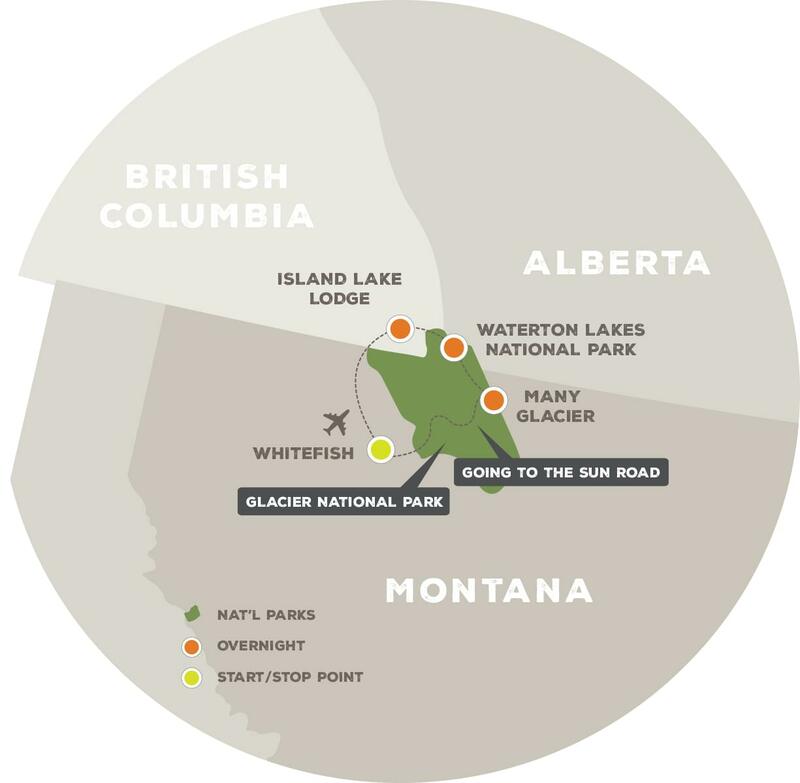 The “Crown of the Continent” is a staggeringly wild place, home to iconic wilderness species like grizzly bears, wolves, wolverines, and bull trout. This journey explores the heart of that mountain kingdom—Glacier National Park in the U.S. and Waterton Lakes National Park in Canada. 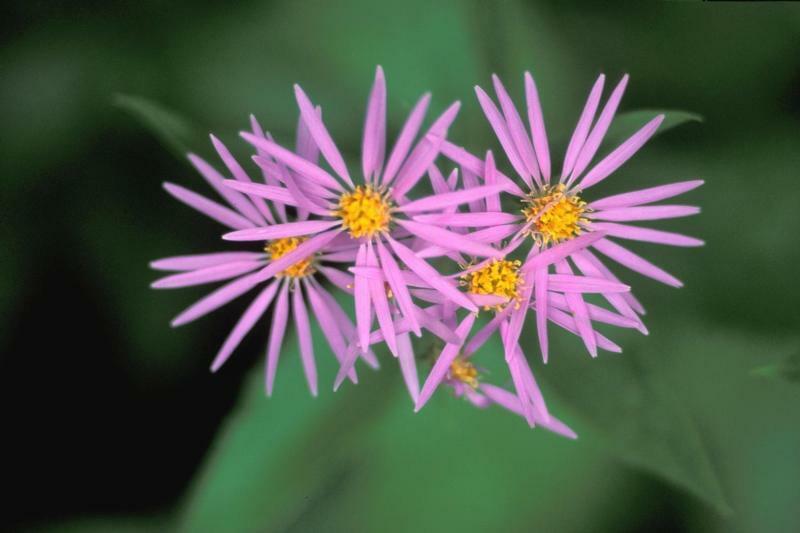 Besides your classic hikes in the national parks, you’ll also walk the lesser-known trails of Mt. Fernie Provincial Park. Beginning in the vibrant town of Whitefish, we travel straight to Glacier National Park, traversing the Going-to-the-Sun Road, with a beautiful hike en route. By day’s end, we arrive at our accommodations in St. Mary, on the edge of the pristine lake of the same name. We’ll be perfectly positioned to spend a full day on the trail in either Many Glacier or Two Medicine – both spectacular! Then, it’s across the border to Canada we go, with accommodations looking out over Waterton Lake. The next morning is spent hiking in Waterton before traveling a scenic roadway to our last and certainly not least destination, Island Lake Lodge. We have three nights to unplug and savor the beauty of this remote lodge, surrounded by 7,000 acres of wilderness. Hiking is the name of the game, and interested anglers can opt for a day on the Elk River (additional cost). Reluctantly, we return across the border to catch flights home in Kalispell, Montana. *Price per person based sample itinerary detailed. Pricing will vary depending upon number of travelers, rooming configuration, and other planning details specific to your trip. Do you want to customize this trip? We customize trips all the time! Email us today: travel@offthebeatenpath.com. What’s Included? Everything you need, plus everything you want. Hiking and walking: Enjoy classic Rocky Mountain trails with exhilarating views of snow-clad peaks, wildflowers, waterfalls, and towering cliffs. Stunning views: The Going-to-the-Sun Road and Chief Mountain Highway will have you gaping in wonder and grasping for words. Wildlife-watching: Bears, wolves, bighorn sheep, mountain goats, elk, moose, deer, eagles, marmots, pikas, and ptarmigan start the list of species you might see. Distinctive lodging: Stay at the historic Many Glacier Hotel in Glacier NP, and enjoy two days of hiking and relaxing at a fabulous lakeside mountain lodge. Pricing detailed for this Small Group Adventure is based upon double occupancy. Additional charges for single travelers and any on-trip airfare required for the trip apply. A booking deposit is required to reserve your space. Small Group Adventure pricing includes all lodging, meals (unless otherwise noted), activities, baggage handling, transportation, and guide service. Not included are travel costs to/from gateway cities, guide gratuities, and personal incidentals including, but not limited to, trip cancellation/interruption insurance, alcoholic beverages, and laundry service. Travel with Off the Beaten Path requires agreement to our standard Terms & Conditions. This hiking oriented trip takes place in elevations ranging from 3,000 to 6,000 feet, with 6-8 hours spent outside each day in potentially inclement weather. Hikes on this trip will be on trails, and range from 2 to 6 miles in length, and up to a 1,500 foot gain in elevation. Make this trip all yours! Most all of our Small Group Adventures can be made private to just your traveling troupe. Just give us a call at (800) 445-2995 and tell us that you would like to “make it private”! Generally, there are two ways to make a small group adventure private. First, you could capture one of our published departure dates for just your group. In order to achieve this, we have to have sufficient space available to create a separate private trip. Second, we could take the details of this itinerary and fashion it for just your group on dates of your choosing. For this, too, we just need to review your interest, group size, and preferred timing in order to create the trip. In all cases, the process begins with a phone call so give us a ring at (800) 445-2995 and after just a few minutes gathering information, we can set to the task of making your trip a reality! Meet your guide this morning and launch the adventure with the great Western tradition of a stop to “coffee up.” Then it’s on to Glacier National Park! In Glacier, you have the advantage of exploring with both your OBP guide as well as a special park guide—both experienced naturalists familiar with the region, and excited to introduce you to what many people consider the most pristine national park in the Lower 48. We stop for short hikes and photo opportunities to take in the dramatic, glacially carved scenery on the way to Many Glacier, an area of the park known for its lakes, waterfalls, forests, meadows, and hiking trails. Watch the mountains of Glacier light up with the rising sun as the day begins. We have the full day to hike and explore this spectacular national park! Throughout the day, the guide explains the natural and cultural history of the area as you explore. Making the most of our time in glorious Glacier, we take a morning hike in the Many Glacier area before setting off on the next leg of this international national park adventure. We cross the border into Canada (have your passport handy), headed to Waterton Lakes National Park. When we arrive, dinner on the shores of Lake Waterton completes a fabulous day. From every angle of our travels, we see majestic towering cliffs, unusual geological formations, beautiful waterfalls, and snow-clad mountain peaks as we scan the hillsides for bear, moose, bighorn sheep, and mountain goats. Our guide selects a hike based on the interests of the group, then we head north through Pincher Creek and west to Crowsnest Pass. At the town of Frank, we stop to visit the site of a devastating rockslide that thundered down over the town in 1903. The surreal landscape is a testament to the ultimate authority of nature and the reality of frontier life in the mountains. Later this afternoon we arrive in the beautiful Elk Valley, surrounded by rugged, forested mountains. Our luxury backcountry lodge is near the fun little town of Fernie, in a secluded and pristine wilderness setting with a world of nature at our doorstep. 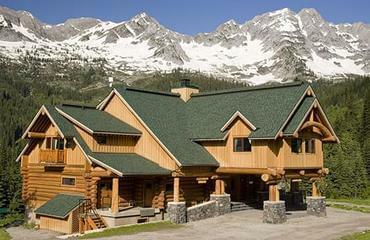 Island Lake Lodge is a private enclave surrounded by 7,000 acres of Canadian wilderness. Hiking is right out the door, and today you’ll have guided options ranging from a one-hour walk in old-growth forest to a full-day hike to a mountain peak. Fly-fishing on the Elk River is also an optional activity for the day (for additional cost). Head back across the border to catch afternoon departures from Kalispell—or stay a day or two longer to explore the fun town of Whitefish! 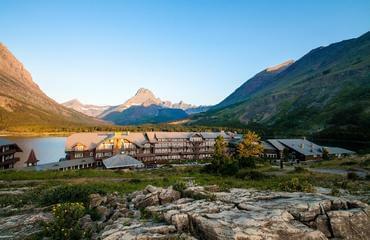 Situated along the shores of Swiftcurrent Lake in the heart of Glacier National Park, Many Glacier Hotel is a secluded five-story hotel that has been welcoming guests into the awe-inspiring scenery of Glacier National Park since it fist opened in 1915. All 214 rooms are comfortable and beautifully decorated in an old-world style. 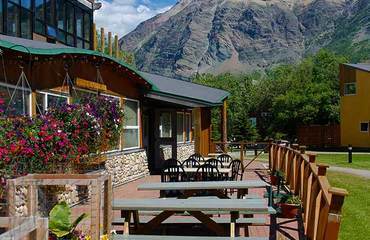 The Waterton Lakes Lodge is located in the heart of Waterton Lakes National Park. Situated on 4 acres of land, 11 chalet style buildings house 80 suites in a variety of room types, including full kitchen hotel suites and amenities to meet your individual needs, ensuring your stay is as comfortable as possible. This is a convenient base for your time exploring the area! Island Lake Lodge has been named as one of the most unique and authentic places to stay in Canada by National Geographic Traveler Magazine. With a stay here, you'll experience amazing lodging, pristine hiking trails, a spa, gourmet dining and of course - the spectacular lake! The lodge is located on the shore of Island Lake, a remote alpine lake about 25 minutes from the town of Fernie. Island Lake (and the lodge) are nestled into the spectacular mountain scenery of the Lizard Range - a sub-range of the Canadian Rockies - where possibilities for hiking and outdoor adventures are unlimited!